Attended dance class at the Emma Pembo Dance Studio from the age of 6 until she graduated and received her Teacher’s Diploma in 1953. She opened her own school at the age of 16 and has operated a prosperous dance school for 66 years. 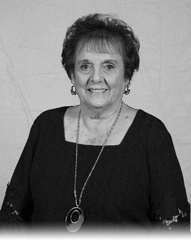 On June 13, 2013 she celebrated her 60th Anniversary “A Diamond Jubilee” Revue and on June 12, 2018 she celebrated her 65th year of teaching the Art of Dance. 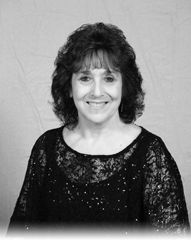 She was President of the National Association of Dance and Affiliated Artists, and is a 45 year member of Louisiana Association of Dance Masters Chapter #6 and Dance Masters of America, certified by test to teach. From 1963 – 2018, she has graduated and presented a Teacher’s Diploma to 233 students. Many of her graduate students have performed on Broadway, were Disney World performers, judged many Dance Competitions, taught classes in New York and have opened successful Dance Studios. Attended dance class at the Emma Pembo Dance Studio from the age of 18 months until she graduated and received her Teacher’s Diploma in 1958. She started teaching dance at the Labourdette School and has been teaching for 61 years. She celebrated her 60th Year Anniversary on June 12, 2018 at her “What A Feeling” Anniversary Revue. She is a 45 year member of Louisiana Association of Dance Masters Chapter #6 and Dance Masters of America, certified by test to teach. She was Captain of the original Dance Drill Team for the New Orleans Saints and Choreographer for the Cheerleader Dancers of the former USFL New Orleans Breakers, the Heartbreakers. From 1987 – 1993 was the Choreographer for the Saintsations, the Dance Team for the NFL New Orleans Saints Football Team. She also Choreographed and taught the halftime routines for the Saintsations performances at the American Bowl held in London, England and Tokyo, Japan. She has studied with some of the leading Dance Choreographers in the country and judged the All American Dance and Drill Team National Competition in 1994 held at the University of New Orleans. She has one Son Ken, a Daughter-in-Law Stephanie, Granddaughter Allison and Grandson Matthew. Shelby is on Faculty as the Hip Hop Instructor. She danced at Labourdette School of Dance since she was two, and graduated with a Teaching Certificate in 2014. She was a Class Demonstrator in 2013 – 2014 and a Class Assistant in 2014 – 2018. She graduated from Archbishop Chapelle High School in 2015, where she was Co-Captain of the Chapellette Dance Team her senior year. She attended the University of Louisiana at Lafayette from 2015-2016. She now attends the University of New Orleans and is studying Elementary Education. 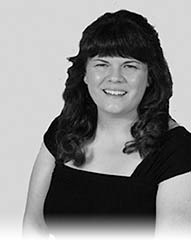 Katie is on Faculty as the Beginner Jazz Technique Instructor and is Class Assistant in the Performing Arts classes. She began dancing at Labourdette School of Dance at the age of two and has continued to study dance ever since. 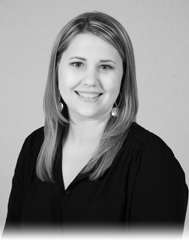 She has a Bachelor of Science Degree in Theatre and Dance from Northwestern State University and an Associate Degree in Early Childhood Education. Katie has competed and placed in both regional and national dance competitions around the United States. She was a VIP member of the Dance America/Dance Olympus National Tour in 2005. Katie is excited to be on Faculty and a Class Assistant for the 2018-2019 dance year. She has been with the Labourdette School of Dance for 51 years. She celebrated her 50th Year Anniversary and received her 50th Year Award on June 12, 2018. She is a 1977 Graduate and has received her Teachers Diploma to teach tap, jazz, ballet and acrobatics. 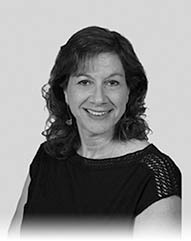 She has dedicated the past 31 years to educating children in the art of dance. During her years as a student, Carmelita was voted Most Talented Non-Finalist in the Louisiana Association of Dance Masters Competition. She has competed in New York, Las Vegas, Kansas, and Orlando, and has won numerous regional and national championships in group competitions. Carmelita is married to Danny and has four children. She is a 1997 Graduate of the Labourdette School of Dance. 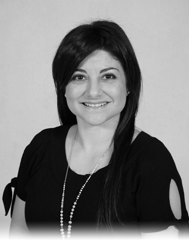 She has been a Class Assistant since 1998, assisting in the Tap, Ballet, Jazz and Acrobatic Classes. She has participated and won in Regional and National Solo and Group Competitions. She graduated from Riverdale High School in 1999 and is a 2002 Graduate from Delgado Community College in Associates of Arts. She also, graduated from the University of New Orleans in 2004 with a Bachelor of Arts degree. Michelle graduated from Charity School of Nursing in December 2014 with an Associate of Science in Nursing. She is a Registered Nurse at Metropolitan Gastroenterology Associates. Michelle is married and has two daughters. Bella and Danielle are students at Labourdette School of Dance. Taylor has attended the Labourdette School of Dance since the age of 3. She was a Class Demonstrator in the 2013-2014 dance season. Taylor graduated from the Labourdette School of Dance in 2014, received her Teaching Certificate, and is currently a Class Assistant. She graduated from Haynes Academy for Advanced Studies in 2014, where she was Captain of the award winning Lady Jacket Dance Team. She was named Captain at the beginning of her Sophomore year and acquired a choreographing position for her senior year. She was given a Choreography Award and a High-Point Award in the MA Dance Competition in 2014. She is a student at Louisiana State University and will graduate in December with a Degree in Business Management with a concentration in Entrepreneurship. Taylor is excited to be assisting the Labourdette’s and sharing her love for dance in the 2018-2019 dance season. Nicole has enjoyed dancing at the Labourdette School of Dance for 14 years; both as a young child and more recently as an adult. She received her Student Teachers Certificate on June 12, 2018 and is looking forward to receiving her Teachers Diploma this year in 2019. 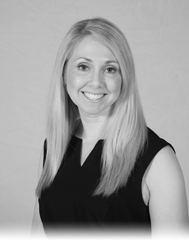 She will assist in classes for the 2018 – 2019 dance season. She graduated from Mount Carmel Academy and was a member of the Carmellettes Dance Team. 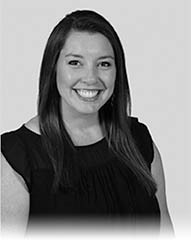 Nicole graduated from Louisiana State University Health Science Center in 2002, where she received her Bachelors of Science in Nursing. She is a Registered Nurse and is currently working as a Nurse Educator at Children’s Hospital New Orleans. She is married with two children. Her daughter, Isabella is also a Labourdette student and she is happy to share her love of dance with her daughter. Lauren, graduated and received her Teachers Diploma in 2002. She has studied dance at Labourdette School of Dance for the past 20 years. Lauren is still dancing and is a member of the Advanced Performing Arts Class. 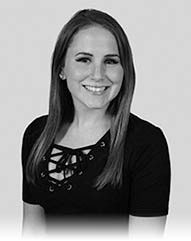 She is excited to be a Class Assistant for the 2018 – 2019 dance season. She is married and has a daughter and a son. Her daughter, Mackenzie, is also a student at Labourdette School of Dance. Katie, studied dance, graduated and received her Teachers Diploma from Labourdette School of Dance in 1999. She will be assisting in class for the dance season 2018 – 2019. Katie is married and has two daughters and a son. Both daughters, Avery and Addyson study dance at Labourdette School of Dance. Abby is a Junior at Archbishop Chapelle High School. She is a student and has studied dance at Labourdette School of Dance for 13 years. She received her Student Teachers Certificate in 2017. Graduated and received her Teachers Diploma in 2018. 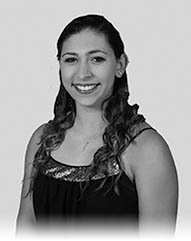 Abby is a Class Assistant and is very excited to help assist in teaching class for the dance season 2018 – 2019. 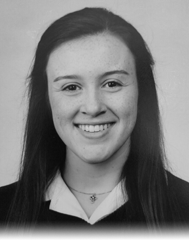 Samantha is a Freshman at Mount Carmel Academy and has studied dance at Labourdette School of Dance for 11 years. She will be taking her dance exam this year to receive her Student Teachers Certificate in June. She is excited about being a Class Helper for the Pre-School Classes this dance season.